As I walk to find a table to sit at, I notice most of them are full. The lunchroom is crowded, and yet I still don’t see anyone I know. I wander off into the corner and spot an empty seat. There are two guys on the opposite side of the table. Without hesitating to sit down, I promptly place my tray on the table, pop in my headphones, and take a seat. If this was me three years ago, I would’ve stood there silent, debating in my head whether it was worth it to sit down next to these two strangers. After contemplating for a minute, I would have found another table that was empty to avoid the two guys. The reason I am not like this today is due to the progress I made at Forest View Psychiatric Hospital. When I was 14, I was put into inpatient care for various reasons. The main reasons were my severe anxiety, anger issues, and suicidal thoughts. When I arrived at Forest View, I wasn’t sure about what would happen. I felt like my life was changing, but I didn’t know if it was for the better or the worse. I remember arriving at the Grand Rapids facility around four o’clock in the evening on a Sunday. The ride over there was rough. It was early March, and as I looked out my window onto the highway a white sheet of snow still coated the Michigan landscape. There was a light blizzard in Grand Rapids at the time. I remember the ride to the hospital was awkward and very silent. Once I got there, I took both of my bags out of the car and slowly walked up to the hospital doors. I signed myself in at the front desk and waited patiently for them to get me signed up. The process of getting into inpatient care took a long time. There was a lot of paperwork that had to be filled out and they questioned me on why I felt I needed to be put in inpatient care. What I told them was that earlier in the day I attempted suicide. Before I could say anything else they told me that they would open a room up for me. My first night there was not easy. I remember finally getting into the inpatient part of the hospital around ten o’clock, but they were still cleaning my room so I had to wait out in the small lobby. The lobby consisted of the main nurse’s office, which was a round island in the middle of the room. To the right, there were five chairs and three wall telephones. The telephones were for us to use if we wanted to call our parents during snack/phone time. We weren’t able to bring our cell phones into the hospital because that would be considered as exploiting privacy or even be used as a weapon. There were two halls that had two rooms on each side and we shared rooms with one other person. The east hallway was for boys and the west hallway was for girls; to the north of the two hallways was our group room. The group room was where we all gathered throughout the day. Counselors would come in and do group talks and different projects with us. The counselors that worked with us were great. They were real with us and showed us a lot about reality and how things really work instead of all the cheery happy things that people talk about. The biggest thing that I learned from being at Forest View was how to interact with people. Being in an environment where I have to interact with people forced me to learn what I should say and shouldn’t say. When the counselor would come in and talk to us as a group, we would all have to participate in talking to each other and keeping a conversation alive. This helped me with my anxiety, because I had people that would push me out of my comfort zone. Over time, I started getting comfortable stepping out of my comfort zone. An experience that challenged me to use what I learned from my inpatient care was this year when I joined the football team. I was introduced to a whole new community and environment that helped me become stronger minded and more disciplined. I have a feeling that if I would have joined a couple years ago, I would have ended up wanting to quit. My inpatient care helped me learn how to keep on striving and achieve a goal. 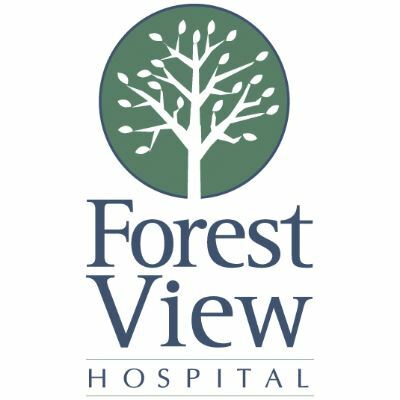 The overall experience at Forest View hospital was good. They have a great program that allows teens and adults to learn more about themselves and how to deal with other people and situations in our lives.